When competing at top level, it can be necessary to have variety of supplements to aid performance. However, many different supplements can be costly, and consume more time and space. Hemo-Flex solves this problem by combining three of Equine America's top performance products into one. Hemo-Flex is a combination of Cortaflex for flexible joints, Tye-Gard for healthy muscles, and Hemogen for optimum blood levels. 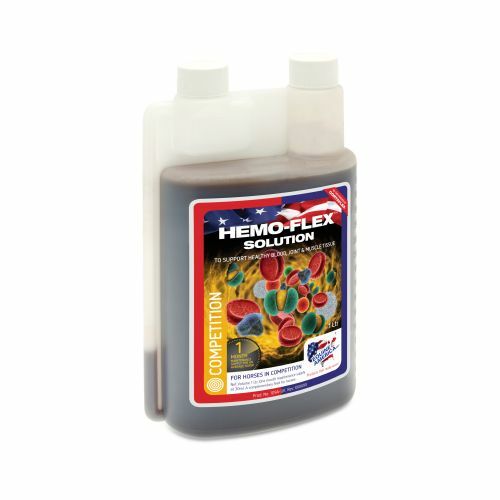 Hemo-Flex is very palatable solution and can be given orally or added to the feed, saving time, money, and space in the feed room.